It has been a hectic 6 weeks after returning from Liberia and getting ready for Kenya and Uganda in just 2 weeks. Jeanne and I have nearly finished moving from our home in Greenville to our new address in McKinney. Our new address is: 4013 Eaton Park Drive, McKinney, Texas 75071. This is also the new APT Ministries address as well. Liberia was a blessing! The Liberian training team and I were joined by Hector Burke out of Panama. Hector has been working with John Jauchen for years, developing training teams throughout Latin America in how to conduct the Thompson Bible workshop. I learned so much from his years of experience and look forward to God’s blessing in the upcoming August trainings in Kenya/Uganda as I apply what Hector taught me. I was reading in Acts 1 recently and noticed one of the criteria that the Apostles had in asking God’s guidance to replace Judas. 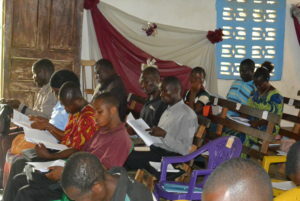 Verse 24 records the beginning of their prayer . . . “Thou Lord, who knowest the hearts of all men . . .” The Apostles knew that ministry for the Lord needed to flow out of a “heart” that was right before God, not darkened by self-desires or a longing to elevate one’s self over others. Jesus had modeled for them the “heart of a servant” and the Apostles knew this had to be given priority in leadership within the church. We give this same emphasis in every workshop that we conduct. The pastors and church leaders who teach and preach God’s word need both knowledge and skill development (which the workshops intentionally contribute to), BUT increased knowledge and skills in the ministry must be built on having a right heart before the Lord. This truth is taught and modeled repeatedly throughout the 3 days of every workshop we conduct. There are too many of God’s servants who have “knowledge and skills” but lack a heart that is “right” before God. But when a man or woman’s heart is right before God then the Lord has a willing vessel that can be used to His glory in fulfilling the Great Commission! 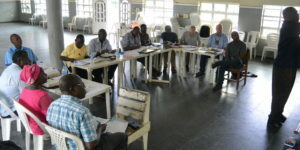 Thank you for your ongoing prayers and support for this ministry to the “heart” of African pastors and leaders! Even as we complete, Lord willing, the remaining workshops planned for 2016 in Kenya, Uganda, Liberia, Nigeria and Cameroon we are working on our schedule for 2017 and asking for God’s provision for Bibles. Please pray that God’s leading will be clear and that our decisions for 2017 will be made wisely in dependence on the Holy Spirit.